I've made three more teapots since the last post. I took pictures before the yellow one was complete. I've made decision on what these will be! It will be a wall-hanging for kitchen. creative energy and joy/happiness in my days. 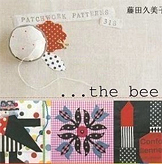 probably make a quilt using the similar pattern. have asked me for a tutorial on this pattern. Vintage sheet that I recently thrifted @ $2.99. Today I want to thank all of you who have tagged me!! 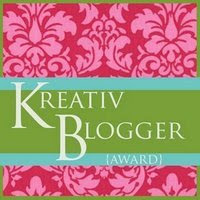 I was chosen as a nominee for this award by Laura. I am constantly inspired by so many crafters' work. come up with best ideas at night, right before I go to sleep. me get creative , but children's picture books are helpful too. pretty much anything beautiful that catches my eyes. always filled with creative ideas?! let me just say that I nominate all of you!! I like too many bloggers. Too hard for me to pick a few. Thanks for coming & reading! Your teapots are beautiful. I love the black and white polka dot one. that will be a lovely quilt - full of teapots - as a tea drinker i heartly approve!!! 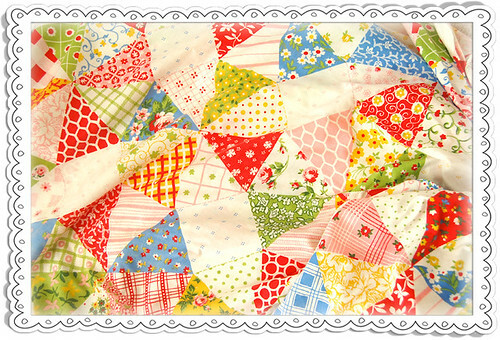 just absolutely love the vintage sheet - gorgeous! Love the new teapots! I shared your teapots on today's blog. Thanks again for allowing me to post the picture. GREAT sheet!!! And that sheet is beautiful! Oh I love the new tea-pots you can sure tell our age difference vintage to you is the 70's, to me it was college and disco's. I also love your lucky find of the sheet. 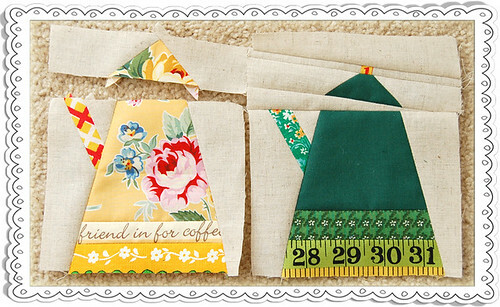 Love the teapots and your vintage quilt find! Here is the URL to Adobe - they have it set up so you can make a .pdf online. I'm in love with the teapots. I am so in love you have no idea. I LOVE them. You are a girl after my own heart. They are darling. The shape of a teapot is one of my favorite things. You can download a printer driver at pdf995.com (it's free). Once it's installed on your computer you print to it (just like to a printer) it makes a .pdf file which you can then save. I love your choice of fabrics, they work lovely together. Do you have access to Microsoft Word? ... you can easily convert MS Word documents to pdf's! Your teapots are darling! I am so impressed, really. I see a few others know how to make a PDF...so I'm hoping...because a teapot wallhanging would look so good in my kitchen! Those teapots are looking fantastic. I love the idea of putting together lots of bold colours to brighten a wall. Enjoy the process. Hi Ayumi, Love your little blog. 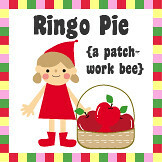 I got the link from Stephine's loft creations blog. I'm so glad to have found it. Your creations are so sweet. 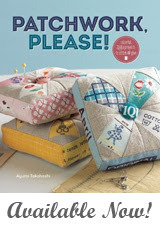 The teapot quilt is just lovely! Gosh, that pattern looks complicated. I have just cut up loads of strips for my next quilt and I shall blog about it as it progresses. Your thrift find is lovely, how bid is it? Where are you going to use it? Just found your site and added it to my blogs to read. I love your teapots and fabric choices! 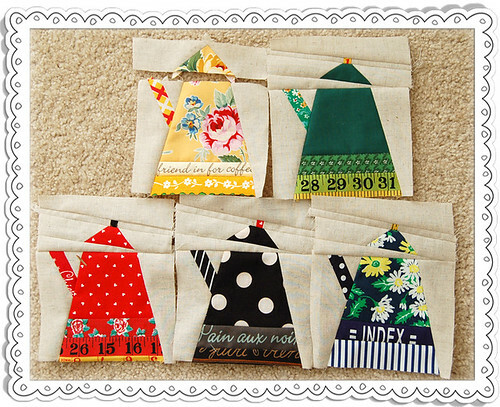 Love the teapots and the vintage sheet is too cute. love your teapot pattern, and can't wait for a tutorial on it. Would love to make a wallhanging for the kitchen of my girls and me. Just love your blog.